chemistry enterprise and its practitioners for the benefit of the Earth and its people. ACS headquarters are located in Washington, DC. We also hire staff based at our Columbus, OH office. Join our team and enjoy the perks of working in our beautiful Nation's Capital or in the backyard of the Ohio State campus. Located in Columbus, OH, CAS databases are recognized as the most comprehensive & authoritative by organizations worldwide. We're currently expanding our staff in locations such as China, United Kingdom, Germany, South Korea, Russia, India, Singapore and Brazil! 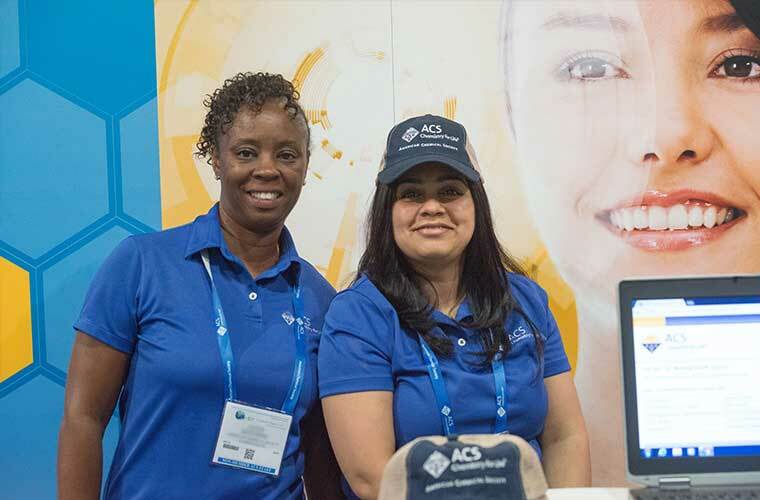 Join the ACS community today and help advance the broader chemistry enterprise and its practitioners for the benefit of Earth and its people. By joining our community, you’ll stay informed about new job postings and career opportunities.Together, we can fulfill our vision of improving people’s lives through the transforming power of chemistry.Enter your email address below to create your account. Already joined the ACS community? Where do you see yourself at ACS? It's about finding the right chemistry! We offer a wide range of employment opportunities in a variety of professional fields. We have openings in IT, Marketing, Editorial, Operations, and more! ACS will not discharge or in any other manner discriminate against employees or applicants because they have inquired about, discussed, or disclosed their own pay or the pay of another employee or applicant. However, employees who have access to the compensation information of other employees or applicants as a part of their essential job functions cannot disclose the pay of other employees or applicants to individuals who do not otherwise have access to compensation information, unless the disclosure is (a) in response to a formal complaint or charge, (b) in furtherance of an investigation, proceeding, hearing, or action, including an investigation conducted by the employer. The American Chemical Society is an Equal Opportunity Employer. All qualified applicants will receive consideration for employment regardless of and will not be discriminated against on the basis of gender, sexual orientation, gender identity, race, ethnicity, religion, age, veteran status, disability status, genetic information or any other protected category.